Cauliflower has a rags-to-riches story. It was considered the poor relation of cabbage until it found favour on the tables of King Louis XV of France – possibly because it resembled the powdered wigs of the courtiers. Beautiful Comtesse Du Barry, the favourite courtesan of Louis XV, liked cauliflower so much the king ordered it to be served at every meal. The Comtesse Du Barry went to the guillotine with the rest of the royals during the French revolution, but her name is remembered in the cookery term dubarry, which means a dish made with cauliflower. Given its royal connections, it is not surprising cauliflower is the most temperamental of the brassicas (the family that includes broccoli, cabbage and kale). Basically, anything that checks the growth of plants – temperatures too high or too low, or insufficient water – causes malformed, loose, bitter heads, or stops the head forming at all. It is best grown as a cool-season crop, when the winter rain helps with watering and there is less of a problem with aphids and white butterfly caterpillars. Start seed in trays or purchase punnets from your local Mitre 10 store. Check the plants you buy aren’t leggy or root bound. 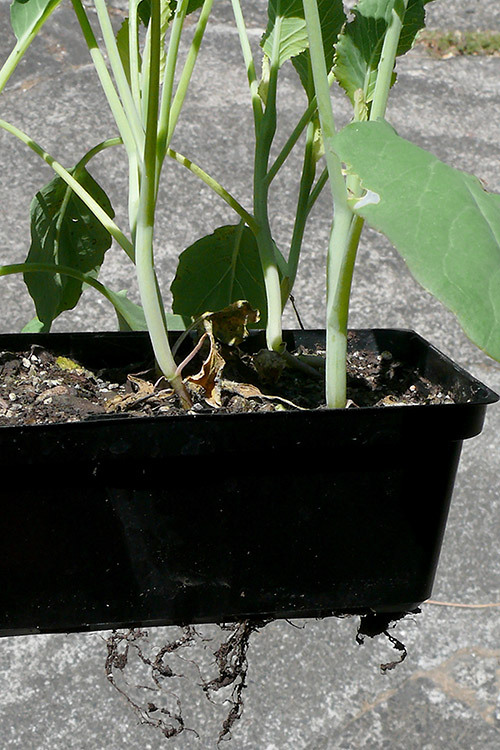 Plant seedlings in a site that receives all-day sun, and, to ensure you meet cauliflower’s requirement for moisture-retentive, but well-drained, fertile soil, dig in plenty of compost and a fertiliser rich in nitrogen and potassium prior to planting. 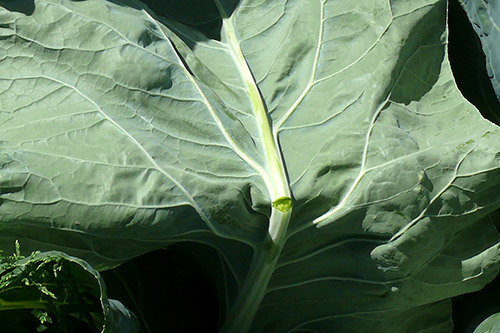 Lime the bed and practice at least a three-year rotation with other brassica crops to reduce the chance of clubroot. Cauliflowers are heavy feeders, so regular side dressings throughout the season is recommended. There is no point in planting seedlings that are stressed and root bound as they are unlikely to produce a good quality heads. Once they are larger, the top-heavy plants can topple in the wind or rock around if the soil is loose, causing root damage. To avoid this, firm soil down after you have dug in compost and fertiliser. When seedlings have five or six leaves, plant them just short of their first set of leaves, in holes deep enough to accommodate their roots without bending, and firm soil around them. resist the temptation to crowd the tiny seedlings too close together – space them at least 45cm apart, in rows a generous 60cm apart (assuming a cauliflower of average size). The leaves grow much wider than the heads and maintaining a good distance between the plants means they are not competing with each other for light and nutrients, and good airflow reduces the risk of fungal diseases. Cauliflower is fairly slow growing. Many varieties take around 85 to 90 days to mature, so the wide space between the seedlings can be used for a faster maturing crop, such as lettuces. To avoid the heads of the white varieties turning yellow in the sun, they should be blanched. To do this, once the heads are 8cm or so across, bend the outer leaves over the curd and secure them with a clothes peg, or break the centre veins of the leaves. Choose a dry day and make sure there is enough of a gap around the head to maintain airflow to avoid rotting it. Unwrap the leaves to dry the curd after heavy rain, to look for insect pests and to check whether the head is ready for harvest. While there are self-blanching varieties that naturally grow their leaves across their curd, these may still need to be blanched once the head becomes large. The heads can be harvested from when they are small, but are best left until they reach their maximum size – generally 15cm to 20cm across. Curds should be compact and firm. Like broccoli, the part we eat is a flower head, so should be cut regardless of the size if the buds start to open. When you cut the head, leave a few leaves attached to the base for protection until you are ready to eat it. If the curd separates and has a coarse appearance, it is past its best. One way to blanch cauliflower heads is to break the veins on the outer leaves and bend them across to cover the curd.